Consumers who buy the newly-redesigned Forester SUV and all-new Ascent 3-Row family hauler will get extra safety because the two vehicles now come standard with EyeSight driver assist. A new study from the Highway Loss Data Institute (HLDI) has confirmed that Subaru’s EyeSight Driver Assist Technology is even effective at preventing collisions with pedestrians. HLDI found the second-generation Subaru EyeSight reduced the rate of likely pedestrian-related insurance claims by 41 percent, compared to vehicles without the technology according to a recent study. EyeSight is offered on all 2018 Subaru models except the BRZ sports car, and it’s now standard on the newly-redesigned 2019 Forester and all-new 2019 Ascent 3-Row SUV. The current-generation EyeSight system introduced for 2015, is what is getting rave reviews from HLDI. Subaru’s announcement says the Insurance Institute for Highway Safety (IIHS), 2016 data shows pedestrian deaths account for 16 percent of all auto collision fatalities, and the numbers are on the rise, up 46 percent since reaching their lowest point in 2009. According to the IIHS study, the increase has been mostly in urban and suburban areas where safe crossing locations might be scarce, including on busy roads designed to funnel vehicle traffic toward freeways, and mainly in the dark. 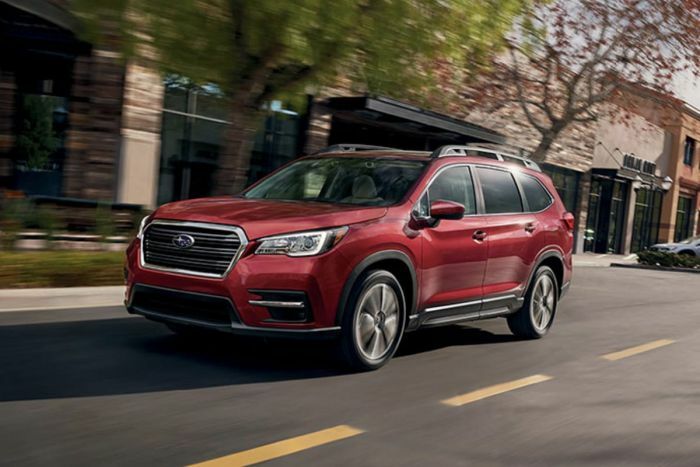 Subaru’s EyeSight that will now come standard on the new fifth-generation 2019 Subaru Forester, and all-new 2019 Subaru Ascent, includes pedestrian detection, enabling the system to brake automatically for pedestrians. In addition to pedestrians, it detects other cars in the vehicle’s path and performs a number of functions including forward collision warning, automatic emergency braking, adaptive cruise control, lane departure warning and lead vehicle start alert. I have read the article link "and the numbers are on the rise" referenced above. And we see lots of information on these pedestrian accidents. But let's not forget that these pedestrians are in the "environment of the vehicle". The vehicle is on the road where it it supposed to be. And the vehicle is controlled by the driver. Let me use an example to make my point. When one swims in the ocean, we are in the "environment of the water". In that ocean there are things that can kill or injure us. Sharks, jelly fish, undertows, environmental issues that force beaches to close from time to time, and UVA-UVB rays that cause skin cancer. But we still go to the beach. So my point here is that we not demonize the vehicle. It's an inanimate object. The common thread in this article is human behavior and the interaction between two people....driver and pedestrian. One or both could be at fault, depending on the facts of each incident. My takeaway is that both the driver and pedestrian each have a shared responsibility to control what they can control. Pedestrian, don't go walking drunk in dark clothing at 2:00 am when that driver of the oncoming vehicle might be just as drunk as you are. Distracted driving is something else we hear lots about. I sincerely hope this technology continues to be refined and get these pedestrian deaths down year over year.